Located north of Two Harbors Mn. bewteen Gooseberry State Park and Beaver Bay. There are several views of the lighthouse but my favorite is from the shore which can be accessed on teh park road just past the ranger station approx. 1 mile in there are parking areas. 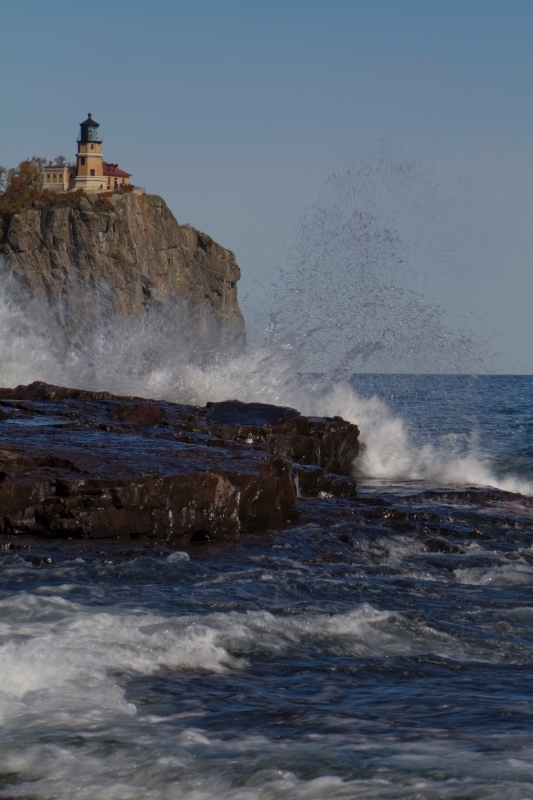 Split Rock Lighthouse with waves crashing on shore.